The Ghost Squadron Aircraft Team was formed in 1980 to promote the public awareness of large scale model aircraft, and to demonstrate these models to both fellow modellers and the general public. Since 1980 the Ghost Squadron has varied in complement depending on the types of models being operated and the team has operated with up to seven members. Currently the team consists of two of the three original members having reduced from four at the end of 2001. The team has again increased to seven pilots and one engineer and for first time in the teams history two of these pilots are ladies . Close associates are also invited to take part in some of the demonstrations and displays that the Ghost Squadron carry out. The organisation of flying shows from small village fetes to major international air shows. Presentations to full size and model flying clubs. Public demonstrations of model flying in the UK and other European countries. Flying of models for film and TV. The demonstration of model aircraft by the Ghost Squadron can take many forms, we always try to tailor the display to suit the occasion. This may involve flying very basic training models suitable for learning to fly, or at the other end of the scale, very large and spectacular models designed to impress the crowd’s at large international events. The team currently consists of 7 full time members, and a number of Associates who participate with the team on an as and when basis, all are long time aero modelling enthusiasts. Each team member has individual skills and abilities, which when put together form a very successful team. 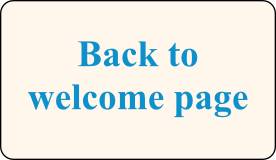 The following pages will provide an introduction to the full time team members by way of short individual profiles. Alan was born in 1950. He has been building and flying all types of model aircraft for many years, but first became interested in Radio Controlled model aircraft in 1980. 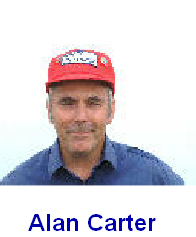 Alan is a cofounder member of the Large Model Association (L.M.A). Alan's primary role within the team is to provide technical backup. He is responsible for the design and manufacture of the teams airborne flight monitoring and backup systems. These systems are utilised in all the teams aircraft to enhance the safety and reliability. Since retiring Alan has taken on some new rolls and now cuts parts for the teams projects etc. John is the teams flight director. Born in 1960, John has always been an avid participant in model flying. He has been building and flying many different types of model aircraft since the age of seven. John began building, designing and flying radio controlled model aircraft in 1974, just 3 years later he was participating in flying demonstrations on the European show circuit. John is a cofounder of the Large Model Association (L.M.A) and over the years has served on its committee as their Chief Examiner and Safety Officer and Chairman of the registration scheme for over 20 Kg models. 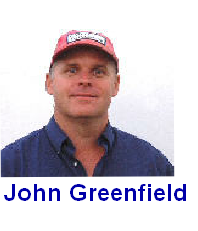 John continues to operate as an advisor to many modelling organisations and aviation authorities both in the UK and worldwide on large model and safety issues. in 2013 John became vice World Champion in GPS flying and in 2016 became World Champion winning the GPS Challenge Cup. Tony was born in 1967 and took up flying models when he was 30 under the watchfull eye of John .Since then he has has passed the BMFA `B and LMA Proficiency tests and has become a BMFA club instructor. Tony is a very talented builder not afraid to tackle the most complex models and has the flying skills necessary to successfully fly them. 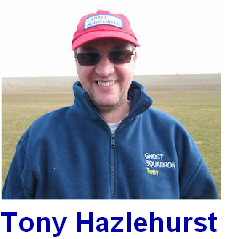 Tony got married in 2008 and lives in Milton Keynes with his wife Sue and is a car technician by trade. Pat was born in 1965 and whilst still at school he worked part time for a radio controlled aircraft manufacturer which provided the initial bug and he started flying r/c in the early 1980’s. Following many years of flying standard, club sized models the planes started getting bigger, his primary role within the team is that of glider tug pilot and he has recently begun towing the very largest gliders in the fleet. He also has a passion for W.W2 warbirds being the owner of a quarter scale Hurricane. After meeting his wife she decided to join in the fun and he built her a pink trainer aircraft which just happened to be a 62cc powered Super Greenley! As you should not ask a lady her age lets just say she is younger than Pat. 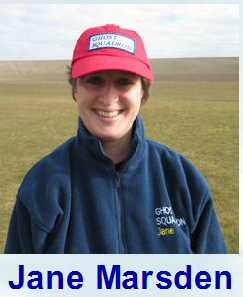 Jane enjoys not only the flying but helping out preparing models and working as ground crew for other team members. she passed her BMFA A test under Johns expert eye in June 2009. She flies the Greenley (known to those close as the Pinkly or Janie Planey ) mentioned in Pats paragraph and for 2016 she has built a new tug with the intention to learn the skills necessary to be a tug pilot and then join Em Hooper as a fellow female tug pilot. 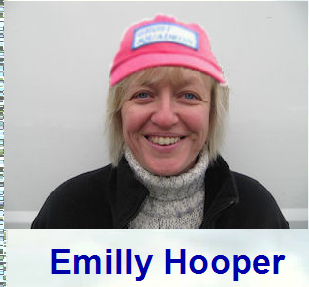 Emilly is a fully qualified light aircraft pilot who started modelling many years ago. She flies regularly at the Large Model Association public events mainly displaying a variety of large models. Emilly also has a number of Greenley glider tugs with engines that range from 38cc to 100cc and regularly attends aero tow events where she spends most of her time towing up gliders of all sizes. ANDREW . Born 1944.Long time aero modeller. 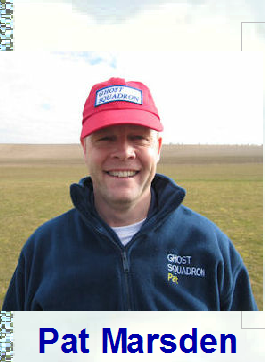 Proud to host GS events and other model fly-ins at his own flying site at Binham, North Norfolk. He enjoys drawing up and building perhaps the more unusual scale subjects and often those with more than one engine.. In addition to his aeromodelling skills he has recently refurbished his full size Piper Tri-Pacer. Darren was born in 1970. 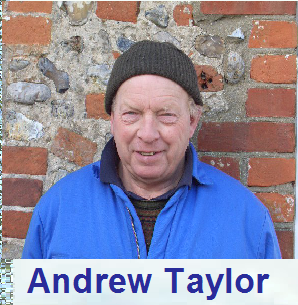 He is a self employed Shipwrights & Model Maker who specialises in composite fabrications. Darren is a member of the BMFA, LMA and Winchester Model Aircraft Club and has been flying models since the early 80's. Although he predominately builds and flies scale gliders, Darrens real passion is WW2 warbirds having built a Spitfire MKIX a few years back and currently working on a MKVII Spitfire 1/5 scale. Darren brings an extra layer of expertise to the team in the area of Glass composites.